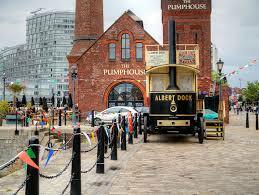 The Albert Dock's Steam on the Dock Festival will see scores of steam fans and families celebrate all things steam this weekend. The festival will see the arrival of an array of steam traction engines, boats and lorries for the three-day event. Whether you are a steam enthusiast or just looking for a nice day out with the family - there is plenty for you to see and do.